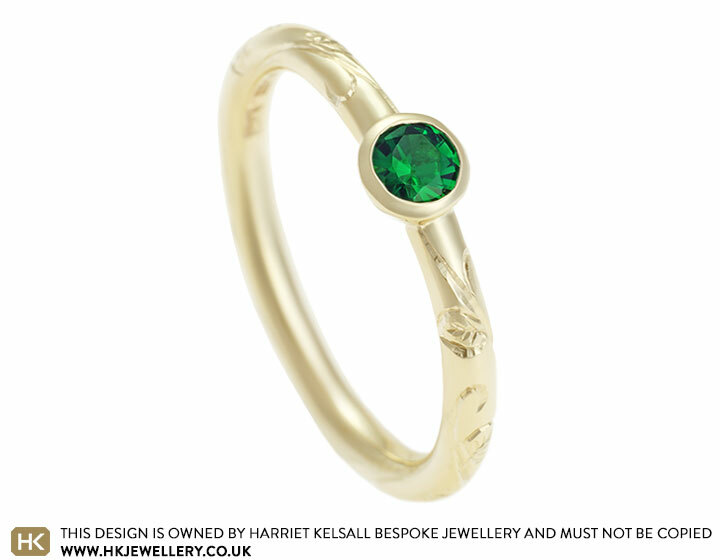 Simon wanted to create an engagement ring for Katie that was inspired by nature and their love of Japanese card trading games (pokemon) . 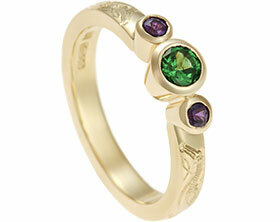 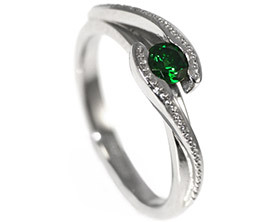 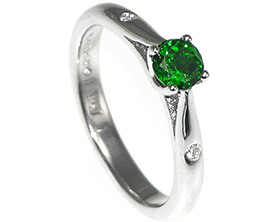 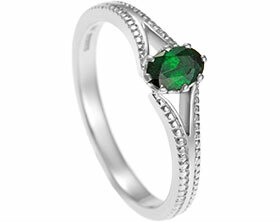 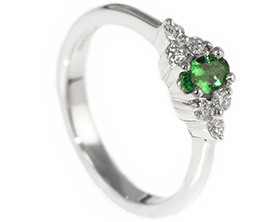 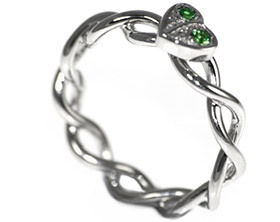 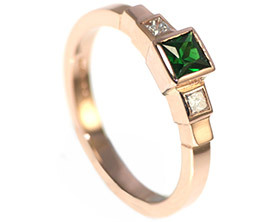 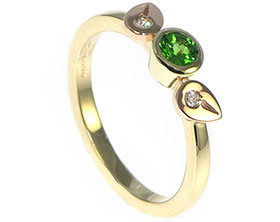 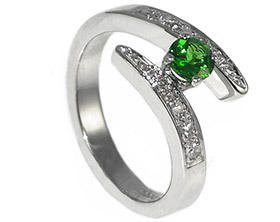 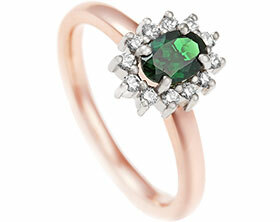 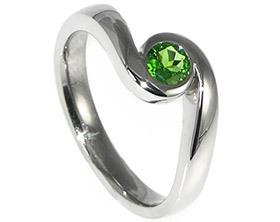 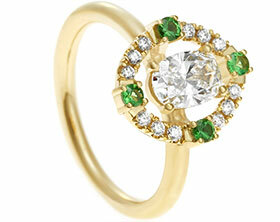 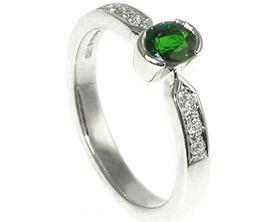 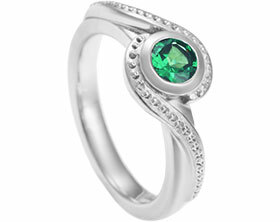 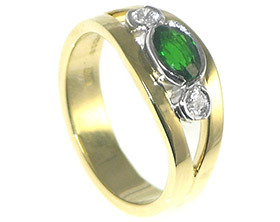 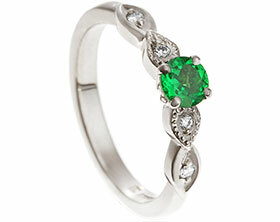 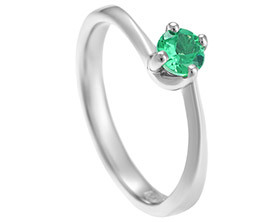 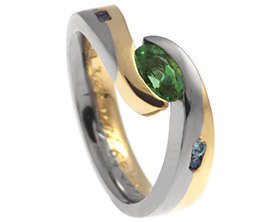 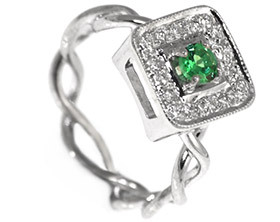 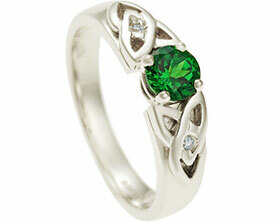 The ring features a brilliant cut tsavorite in an all round setting on a 2mm wide halo profile band. 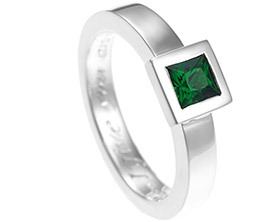 The band also features leaf and vine style engraving for added side detail. 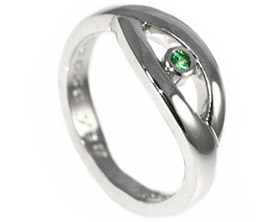 It is subtly inspired by Japanese manga card trading games.